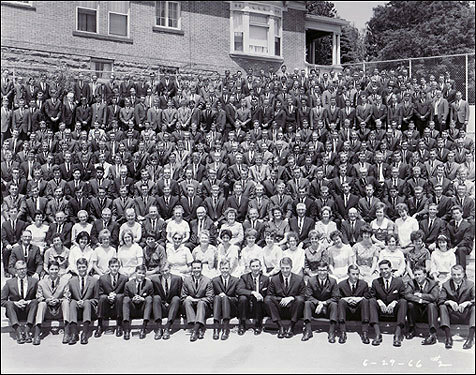 The mission began in June 1966 in Salt Lake City, where Romney gathered with hundreds of other new missionaries for a week of study and prayer at the mission training center. The men were generally 19 years old, and the women 21; a handful of older couples also volunteered to serve. The missionaries were heading all over the nation and the world. Romney was among about eight who departed for France on July 4, 1966.